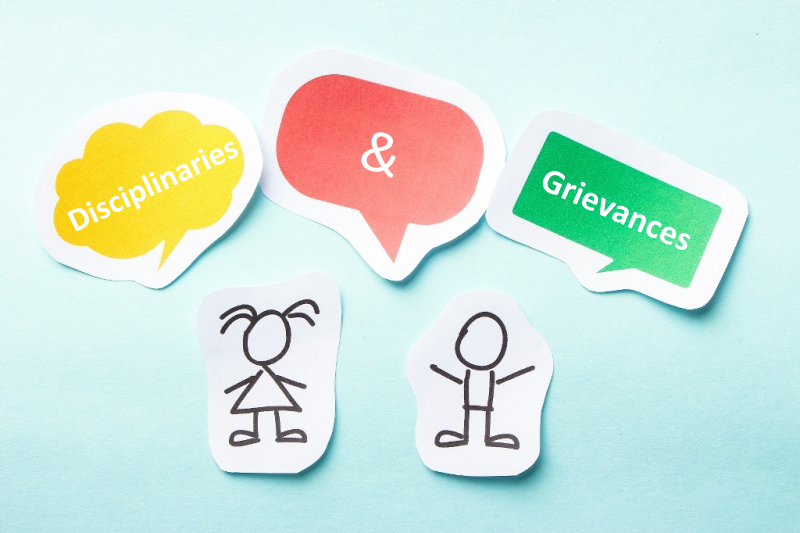 Unfortunately from time to time there are likely to be occasions when the use of either the disciplinary or grievance process may be necessary. In order for disciplinaries and grievance procedures to be effective they should follow guidelines as specified by ACAS. If you are ever facing a tribunal for unfair dismissal or constructive dismissal, the ACAS code is one the tribunal will refer to particularly in the absence of any other document procedure. Many tribunal cases for unfair dismissal have been lost due to poor application of the disciplinary process resulting in poor decisions or for not following any sort of process at all. One of the other classic mistakes made by companies is in who they get involved in applying the disciplinary procedure. Often companies will use the same people to chair disciplinaries as those that carried out the investigations or made the allegations. Disciplinary and Grievance hearings are in place to provide employees with a fair process to answer allegations or raise concerns that can be addressed. Therefore; they often fail as it is judged that it is automatically unfair as the people involved in chairing the hearings and making the decisions are already biased; as such a fair hearing was impossible. We can help you by making sure we keep you on track through the whole process and that best practice is followed. We ensure that the appropriate investigation has been conducted, that the process ensures legal compliance has been met and that the actions are proportionate to the incident. When applied properly, a well conducted disciplinary and grievance procedure used in a timely manner can turn issues around and avoid expensive actions that may arise later. Why not use an external consultant who is totally objective, has no emotional or relationship ties to those involved and can provide best practice in dealing with such matters.